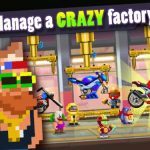 Eden Games’ excitng new mobile racing title Gear.Club is much more than a quick adrenaline rush. 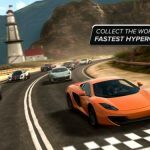 The developer promises fully simulated engines, transmissions, powertrains, and aerodynamics, and a whole lot more, as you drive a variety of real-life cars in a series of races across different parts of the game’s world map. You can collect cars, upgrade and customize them, and add more stuff to your garage as you go along. And if competing against the game’s AI drivers bores you, you’ve got the option to compete against your friends, or against random players from around the world, in the control scheme and car of your choice. 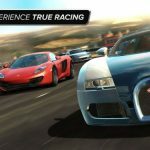 Like most other high-end mobile racing games, there’s a whole lot to learn about Gear.Club, and it won’t be easy becoming one of the best drivers out there, and a threat to man and machine alike. (By that, we mean human and AI opponents, of course.) But everyone’s got to start somewhere, and that’s why we’ll be starting off with this Gear.Club strategy guide for beginners. 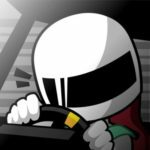 We’ve got a ton more tips in store, but before we get to those intermediate and/or advanced tips, we shall start out with some of the simpler, more fundamental things you need to learn about the game as a novice driver. See those arrows, usually green in color, seemingly leading your path as you drive across the course? That represents the ideal route you should be going, though when they change in color from green to yellow or orange, that means there’s a turn coming up. Follow the green arrows when you’re in the straights, and feel free to move at full speed. Hit the brakes when they turn yellow, and brace yourself for the turn when they turn orange. When the arrows turn red, that means you should definitely slow down considerably, as you’re going much faster than recommended. Let the arrows be your best friend and you’ll be winning more races, even early on in the game. 2. To Tilt Or Not To Tilt? In your first Gear.Club race, you will start out with the default tilt controls. That should work fine for you if you want something that replicates an actual driving experience, but tilt controls aren’t for everybody, regardless of the racing game. Fortunately, Gear.Club offers you an alternative means of controlling your car – traditional touchscreen controls where you tap on the left arrow to turn left, and tap on the right arrow to turn right. Your mileage may vary when it comes to the control type, but we suggest you try racing on both control types, and stick to the one where you’re most comfortable with. The game offers you choices, so see which one works best! As you compete in your first few races, you’ll notice some notifications on the upper right hand of your screen. Tap on the ribbon-like icon and you’ll be able to view your achievements, and redeem any rewards that are ready to collect. For completing these achievements and missions (more on those two in our next guide), you will earn cash (the common currency), gold bars (premium currency), and rewinds, so make sure you’re regularly collecting your rewards and taking advantage of the game’s generosity! 4. Should You Turn Off The Driving Aids Or Not? When you first start up the game, you’ll be thrown into a race where you don’t need to worry about hitting the gas or the brakes, just tilt your phone left and right. That’s because you’ll start out with your driving aids (braking, anti-skid, steering) all turned on. What do these special features do? Braking, obviously, allows you to slow down automatically once you approach a tight turn. Anti-skid keeps your ride from skidding. Lastly, steering aids work by tweaking your left and right turns so you can control your car better. As there are technically no penalties or sanctions for using driving aids, they’re nice to have turned on if you’re a beginner player. But as you get the hang of Gear.Club and reach a point where you no longer feel like a newbie driver, it would actually be recommendable to turn them off. There’s a catch to using driving aids, as you’ll find out, as having them on would prevent you from reaching the fastest possible times and speeds. The world map will show you most everything you need to know about your progress – you can view it to see what new races you unlocked, to see if you’ve got any one- or two-star races you can replay for three stars, and to see if new dealerships have been unlocked. We will get to those things in our next Gear.Club strategy guide, but one particularly important thing you should remember while still a new player is that Flash Events are available for you to compete in. Flash Events are limited-time events, just as their name suggests, and you will see that competing in two of them is the requirement for the first mission your technical lead Max would give you. Make sure you’re always on the lookout for Flash Events, but be prepared to face a much tougher field than you normally would when following the main story progression. That might require you to work extra hard to win those races, and the fact that you don’t have all the time in the world to win those races does add to the pressure. But you can win some nice freebies if you come in first place, including those all-important currency (cash and gold) rewards. As a bonus tip, remember that flash events have a cool down time of 30 minutes, so if you lose the first time around, you’ll have to wait it out a bit before giving the race another try. Last, but not the least as far as our beginner tips go, we would strongly recommend playing Gear.Club every day, or at the very least, logging in at least once a day, even if you don’t plan to do any racing. With each consecutive day you log in, the game will give you increasingly attractive freebies, and once again, that may include cash or gold, as well as rewinds, which allow you to go back to a certain point in a race and redo stretches where you may have messed up.